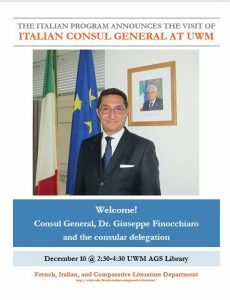 Home » All News » ITALIAN CONSUL GENERAL AT UWM! The Italian Program announces the Italian consul general’s visit to UWM! 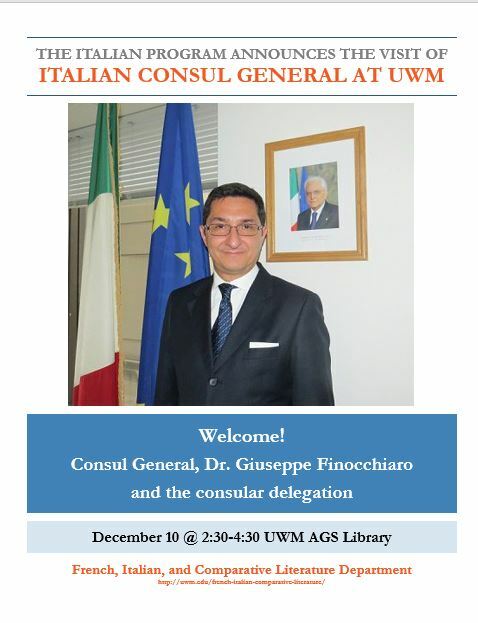 Please welcome Consul General, Dr. Giuseppe Finocchiaro, and the consular delegation Monday, December 10 @ 2:30-4:30 at UWM’s AGS Library.